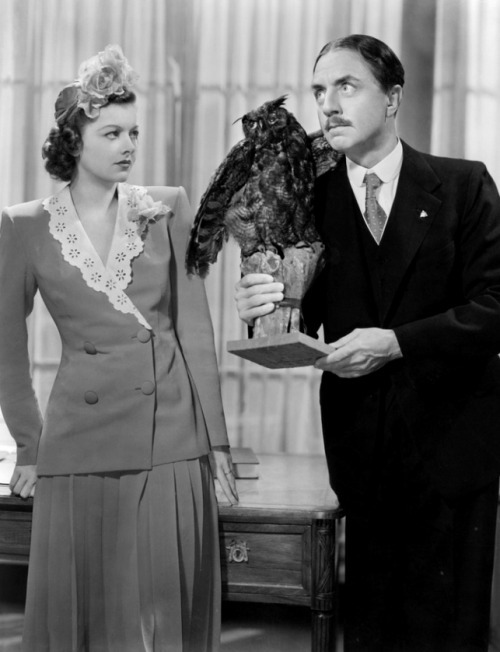 Larry Wilson (William Powell) is a respectable banker from a small town, on a cruise ship headed to his small town and his beautiful wife Kay (Myrna Loy). He’s a strait-laced, prim-and-proper businessman who would never think of engaging in any conduct that might besmirch the name of his beloved bank, such as drinking, gambling or swearing. While he’s on his trip, however, he’s the victim of a small accident and gets bashed on the head. When he wakes up, he discovers he is NOT Larry Wilson, he is actually George Carey, a fly-by-night conman who was suffering from amnesia. During the amnesia, he assumed this alternate identity of Wilson. Now that he remembers who he is, he’s determined to go back, clean out the bank and make a run for it. His plans come to a screeching halt when he meets the lovely Kay. Instantly he is attracted to her and wants to pursue her. To his dismay, he discovers that Kay and Larry were actually in the beginnings of a divorce. 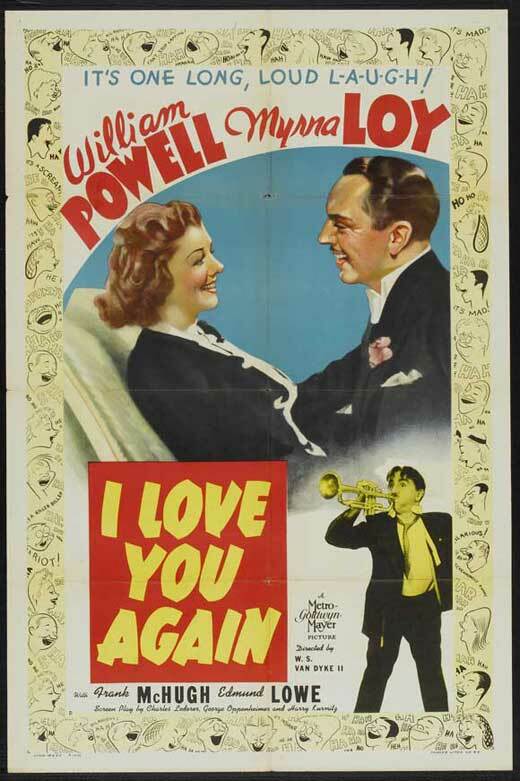 But by that point, George is already enamored with Kay, and decides he’s not leaving until he can win her…at least temporarily. Thus begins his attempt to impersonate another version of himself that he knows nothing about and can’t remember, and is absolutely the opposite of the real George Carey. 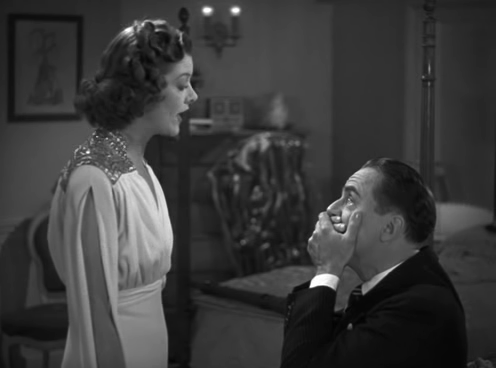 George Carey: You be careful, madam, or you'll turn my pretty head with your flattery. Kay Wilson: I often wished I could turn your head - on a spit, over a slow fire. Kay Wilson: What did you put in this coffee? George Carey: Oh, just a little rum. George Carey: [stammering] Well, because it's... it's... it's healthy, dear! It kills the bugs in the coffee! This was one of my Mom's favorites! :) Great choice.